Thinking about care options and anxieties as you deal with a late stage illness can be very hard. Talking with loved ones may just heighten the emotional tenor of such conversations. Sometimes it may make sense to speak with someone a bit removed- and sometimes that someone may not even need to be a real person. 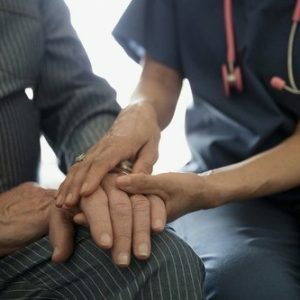 Researchers at Northeastern University in Boston have just published a paper describing their work creating a tablet-based “chatbot”- in essence what they are calling a “virtual conversational palliative care coach,” to help patients think through their symptoms, stress, spiritual needs and any other issues that arise as their illnesses become terminal. The goal is to facilitate these conversations, and whatever solutions arise, well before the patient’s last days, so that quality of life is improved even as quantity of life is diminished. Dr. Timothy Bickmore, one of the lead researchers, is an expert in human-computer interactions, and he has invented many such chatbots to work as health counselors in other circumstances. Read an interview with Dr. Brickmore Here. And to find out more about this pioneering work, Read Here.